Six-time European champions England beat Malaysia 14-3 to win the inaugural Dodgeball World Cup on Sunday. The hosts knocked out Australia to reach a first final at the National Basketball Arena in Manchester, with Malaysia earlier seeing off Wales, Scotland and Northern Ireland. Australia claimed the women's title. Qualifying began with 30 teams last year, with the top eight men's and women's teams from 10 countries and five continents making the finals. It was seen as the first step by dodgeball's governing body to codify the sport ahead of an attempt to enter the Olympics in 2030. 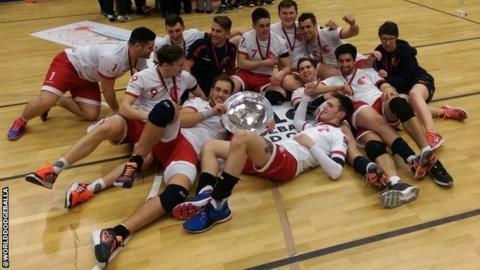 Sport England tweeted its congratulations to the sport's first world champions.